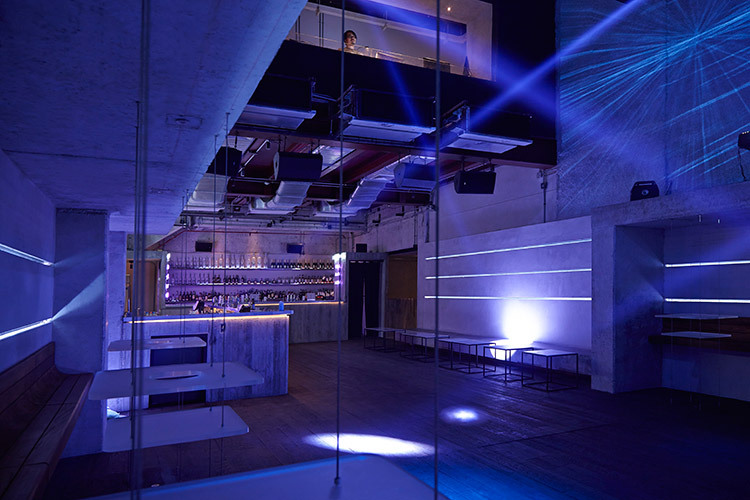 Operated by a company that describes itself as freethinkers, Membership has a number of other outlets under its belt, but with Beam – located at 72 Courtyard in Bangkok – owner Chet Chetchotisak wanted a minimal design with a big audiovisual component. To achieve this, two years ago he called in Dave Parry of Most Technical, who in turn, put Chet in contact with William Russell and Sarah Adams of Pentagram to design the club. Dave also got John Monroe at immersive involved and they all worked together on the project. 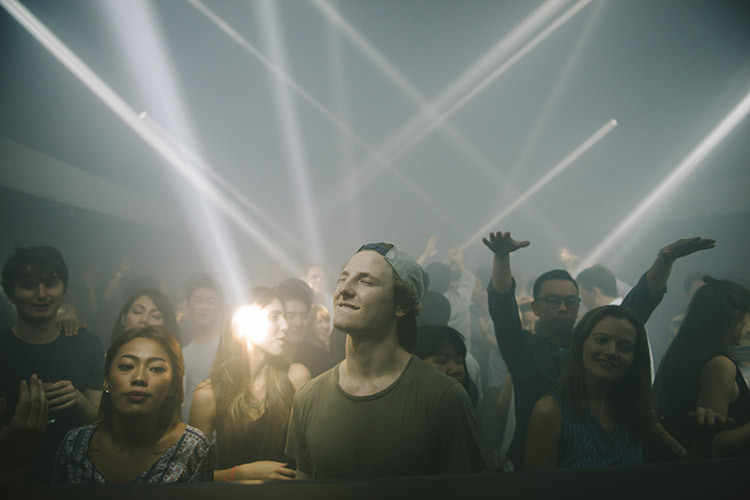 Chet’s brief for the team was to build Thailand’s first proper nightclub / dance club with minimal lighting, a big sound system, a Body Kinetic dancefloor that vibrates to the beat of the music and a fully enveloping visual system. To create the big sound system effect, Dave selected an audio set-up from UK manufacturer, Void Acoustics. There are two main stacks in the club, each comprise two Void Stasys X air subwoofers with a Venu 215 atop and a bi-amped Impulse 3i on top of that. He also added four Stasys 2’s as rear fills, plus another pair to cover the bar area supported by a Venu 215 subwoofer moulded into the bar, and to complete the club system, a couple of Venu 10’s were installed as fills. The lounge bar, located downstairs is equipped with six Void Axsys 12’s installed around the periphery, as well as a Stasys 218 subwoofer and a Stasys 118 subwoofer. A selection of Void Bias amplifiers provide power for the sound system. The lighting at Beam, Dave describes as pretty minimal and reasonably simple in terms of units being used. 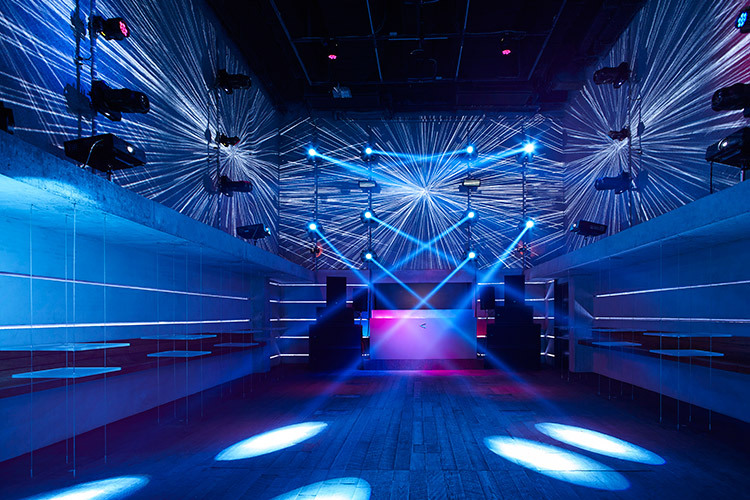 The design consists of eight lighting bars along the walls and a truss in the roof, which house 18 Martin Professional Rush MH3 Beams and eight Martin Professional Rush MH2 Washes. 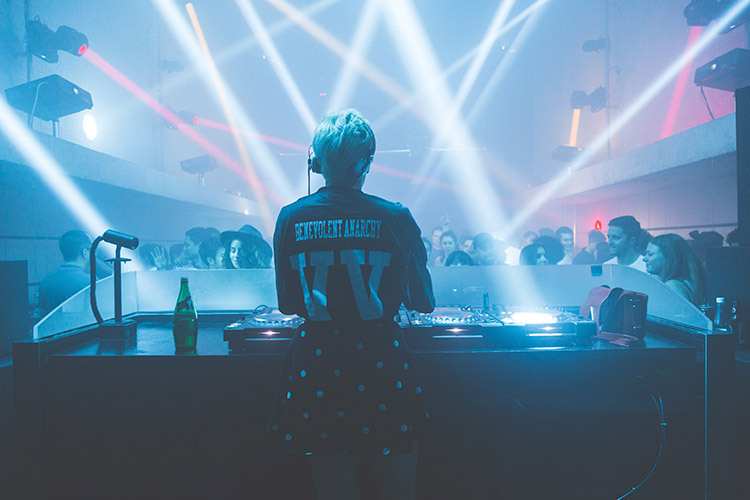 All the lighting is controlled by an Avolites Quartz controller which is linked to a Madrix PC server controlling eight universes of LED around the walls. For added effects, Dave added six SGM X5 LED strobes in the floor to give a different perspective, plus a further two above the DJ booth. In the lounge bar, the minimalist theme continues, simply featuring an LED wall controlled via an Avolites PC Titan 1 console as well as another hazer. Back in the main room, the Immersive visuals run around the entire space. This is achieved using six Panasonic PT-DX820 8000 lumen projectors and an Avolites Ai Media S8 server. The server also captures an input from three HD cameras for use in various compositions throughout the room. 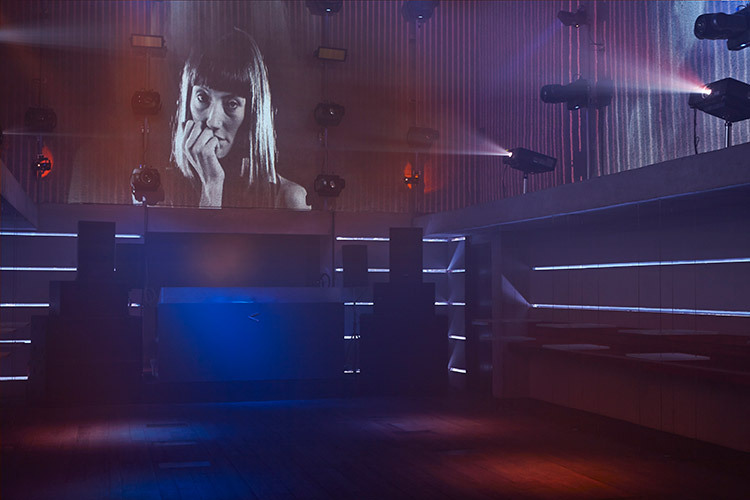 There are also three ‘light frame’ projectors – Panasonic PT-RW430’s – that project onto the dancefloor, also controlled by the Ai server.